Wonderful vintage condiment or snack bowls with brass toned metal caddy. 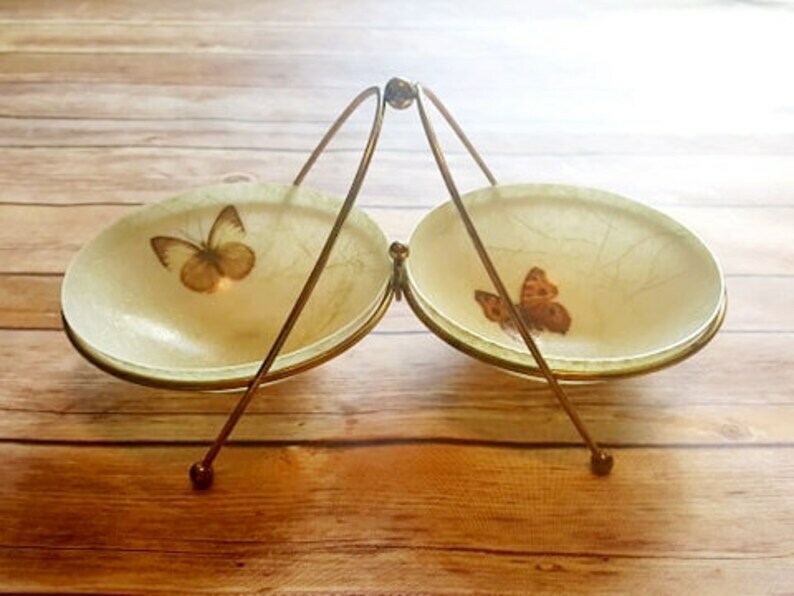 Bowls are made of fiberglass and have embedded real butterfly wings and gold metal strips. The set is in good vintage condition with light wear. It would work great as a serving set or even as a 'catch all' bowl on a dresser or vanity. Caddy measures 11 3/4 inches wide ad 7 inches tall. Bowls measure 5 3/4 inches in diameter.